Finn went to the Lemon Kingdom to find some adventures. And, as you have already guessed, he found them! 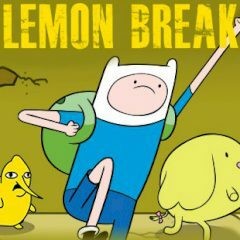 Some of the inhabitants of the land of lemons have been trapped in cages set by evil Lord Lemongrab. Help Finn to rescue all the captives!